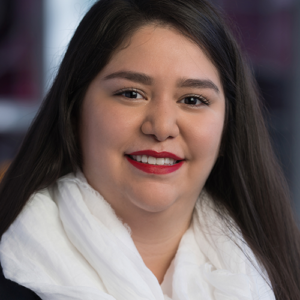 A 2007 Boettcher Scholar, Cristina Gonzales entered the University of Denver as a business major. However, she soon realized her true passion was in art history. Rather than continuing to take art classes “on the sneaks,” Cristina made a bold move and declared an art history major at the height of the recession. She then went on to complete a MBA in museum studies and nonprofit management. “It was the best, ‘bad’ decision I could have made,” she said. Cristina’s decision to pursue her passion in art history paid off when she found a trajectory to positions at cultural nonprofits such as History Colorado, Museo de las Americas and the Latino Chamber of Commerce, as well as with the media giant Comcast-NBC. She was recruited to Saint Joseph Hospital Foundation’s development team during the final phase of the hospital’s $100 million capital campaign. Cristina is currently the development manager for Saint Joseph Hospital Foundation. In her role, she coordinates donor engagement for Denver’s oldest private teaching hospital, which occupies a newly constructed campus just east of Downtown Denver. Cristina describes her position as “one of the hospital’s faces of community good” and enjoys working closely with donors to identify opportunities to support Saint Joseph’s mission, as well as attending community outreach events. At just 29 years old, Cristina’s résumé has more diverse experience than many mid-career professionals, an accomplishment she attributed to following her interests and receiving support from those who believed in her potential, a message she received when she opened her letter from the Boettcher Foundation. After opening her letter in the Pueblo Central High School parking lot, Cristina remembers jumping up and down and soon being surrounding by other staff and friends at the school who heard she had been offered a Boettcher Scholarship. As a first-generation college student, the journey to receive a scholarship was not always easy. She remembers classmates telling her to drop out of the Boettcher process: “They’re never going to pick someone from Central,” she was told. However, Cristina persisted in serving her community and following her passions – a theme that has defined her journey. Cristina hasn’t built the resume that she or others initially expected when she entered the University of Denver as a business major. Instead, she says she ended up with something much richer. Her advice for those hoping to do good through their profession is to pursue opportunities that they truly enjoy. While that may seem like a risk, the reward is almost guaranteed.